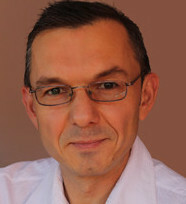 Mihai started trading stocks in 1998, at The London Stock Exchange and Bourse de Paris, while he was studying in London. Ever since then, he has traded stocks, indices, forex, futures spreads and options, and stock & indices options, on all important international markets. Mihai Vasiliu holds a Bachelor of Science degree in Electromechanics. His LNKD background is in Telecom. He worked for multinational IT&C companies like Ericsson, Orange, Cosmote and Nobel, where he held management positions in engineering projects, business development, direct sales and customer service. Mihai has studied, worked, and traveled around the world. He loves to travel, a pastime inherited from his father. He has visited almost all of the United States, Canada, most of Europe, South America and Asia. His favorite cities are Chicago, Stockholm, Buenos Aires and Hong Kong. In 2006, Mihai quit working for corporations to dedicate his full time to trading. During his trips around the world, he visited all major stocks and derivatives exchanges. He met hundreds of people working in the capital market sector at various levels. He then started mentoring others on how to trade, initially – mainly his former colleagues and partners who wished to learn a potential way out of the “lifetime employee world”. During the last eight years, Mihai Vasiliu has specialized in stocks, index and futures options trading as an investment strategy. He is convinced not only that options strategies are so versatile, but with options, you commit much less capital to an investment than with stocks, futures, or any other instrument, for net superior yields. Mihai says: “You can learn to greatly amplify the return on a stock portfolio by effectively using simple options strategies, such as selling out-of-the-money calls against a long stock position, or selling cash covered out-of-the-money puts”. With more than 18 years of trading experience, Mihai is currently trading the US markets on daily basis and he is also teaching and mentoring international traders. You can read here few interviews with Mihai.